True, the Digital Age and global economy are demanding. Texting and emails are the norm in communication. Face-to-face conversation is minimal. Everything seems impersonal. People feel isolated. Decision-making is harried. Creativity slows. Employees are stressed. Common courtesies disappear. The lack of teamwork and civility hurt production and customer service. Instead of team members saying “thank you” and “please” to one another and to customers, they say “Have a nice day.” Ugh. At any rate and like it or not, if you’re not hitting your profit targets look no further than at your workplace culture. Sure, your marketing might need to be re-tooled. Perhaps your messaging isn’t working or you’re using the wrong channels. But great marketing will never produce your desired return on investment if your culture isn’t warm and positive. Business profits are minimal or nonexistent because workplaces are mired in disrespect — from rudeness to bullying. This, of course, means operations are weak and customers aren’t being treated well. Moreover, here’s a memo that’s hard to swallow: If you have workplace dysfunction, it’s time to look at yourself. Actions and choice of words matter. Look for signs of backstabbing, rudeness and selfishness. Walk the floor and ask your key employees to do the same, and look for positive interactions. Check to see if it’s the norm. Very importantly, self-evaluate your behavior, especially to check your empathetic quotient. How often do you put things aside when employees approach you? How often do you approach employees to ask how they’re doing? 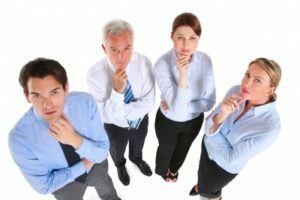 Do you give credit to employees? How often do you say please and thank you? In this fast-paced environment in the rush for profitability, it’s very common for leaders to forget how to motivate others. There’s a tendency to think they’re above the common-sense rules for positive communication. They fail to leave the office to personally engage their staffs. They restrict constructive criticism and discourage candid feedback. Chances are you’re often on overload. Often it’s self-inflicted. You also have too many meetings and distractions. You forget to be nice. Instead, you’re busy checking emails and responding. You’re heavily relying on your smartphone. True, emails and smartphones are important. But they are a common cause for limited face-to-face communication with your human capital. When you make a mistake, apologize well. So acknowledge your mistake. Take responsibility. Don’t delegate an apology to others. Don’t expect them to manage the consequences. Change your behavior so your staff members don’t view you as an empty suit. Consider how and what you’re doing to insure you won’t have any regrets. Imagine what you need to do to stop appearing to be insensitive, reactionary or pompous. To be sure you must remain a critical thinker and good negotiator but it also means being a good listener, empathetic, being fair-minded, a better partner and showing positive leadership. Consider what the headline would read if a critical news article was published about you. Take steps so that you’re proud of your behavior and performance. How to Rewire Your Brain to Get Confidence for Leadership — As prime minister of the United Kingdom, Winston Churchill provided lessons in enthusiasm for leadership. To take your business to the highest level, you must be at the top of your game to maximize your confidence as a leader.